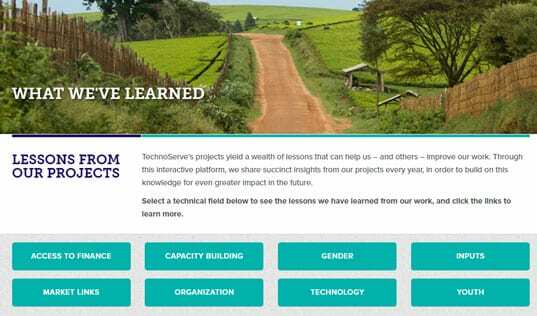 While teaching TechnoServe’s entrepreneurship curriculum in their classrooms, two teachers put the lessons in action, launching a local water purification project with their students. 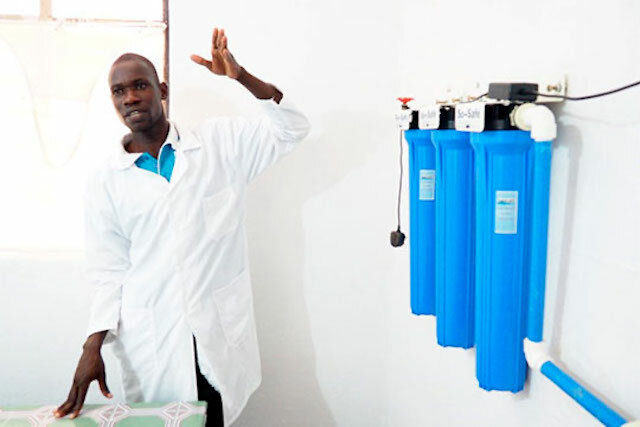 Wilson Kiggundu as his students stand in front of their filtration and bottling center for purified water. In 2018, 11 million young people will enter the workforce in Africa. Youth unemployment is a critical obstacle for economic development in many communities, especially in the countryside, where employment opportunities are often few and far between. Watch the video to see more stories and learn more about STRYDE's impact on rural youth across East Africa. Many local organizations are hard at work in these areas, helping rural young people to develop the skills and knowledge they need to build prosperous livelihoods through agriculture and agribusiness. Academic institutions such as Bukalasa Agricultural College in Uganda are an essential center for such learning, equipping students with the technical knowledge they need to enter the workforce. Meanwhile, initiatives like TechnoServe’s Strengthening Rural Youth Development through Enterprise (STRYDE) program are working to make sure these driven, skilled youth are able to identify or create economic opportunities in their communities. 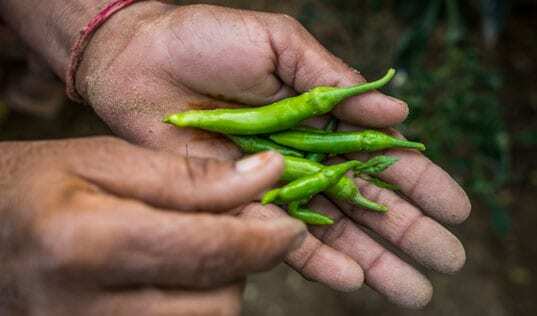 With so many young people entering the workforce each year, the ability to create prosperous livelihoods within agricultural markets is just as essential as having the skills to act on them. A partnership between TechnoServe and the Mastercard Foundation, STRYDE launched in 2011, training over 45,000 youth in East Africa. On average, participants in the first phase of the program more than doubled their incomes, increasing them by 133 percent. In 2014, the program began working with institutional partners like Bukalasa – vocational centers, civil society organizations, prisons, and other entities that routinely reach thousands of young people and can continue training activities well after STRYDE’s official end in 2019. Through these partnerships, STRYDE is equipping staff at local institutions to provide entrepreneurship training along with their standard curricula through a “Training of Trainers” (ToT) program. In his classroom, Wilson now teaches not only Information and Communication Technologies, but also entrepreneurial skills essential to rural youth. When Wilson Kiggundu, a lecturer on Information and Communication Technologies, and Sule Ivan, a lecturer in the Bukalasa’s Crop Science Department, joined the three-month ToT program in 2016, they channeled its message into real transformation. After the training – which covered topics such as personal and professional effectiveness, finance, saving, business planning, and other entrepreneurial skills – Sule recruited more of Burkalasa’s faculty to participate, and now more than 320 students have received STRYDE training, while 300 more are currently training. For these motivated teachers, the STRYDE curriculum made a big impact in both the classroom and their own lives, especially the module on "personal effectiveness." This lesson helps students to recognize their talents, strengths, and goals, and how to identify ways that they can use them to actively shape their own futures and careers. For Wilson, the training changed his way of looking at his surroundings. He began to recognize market opportunities around him. 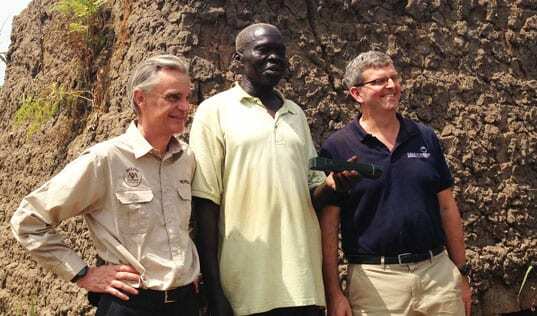 The next time he grabbed a bottle of water – which was filtered and bottled remotely – he began to question why his community could not produce and sell its own filtered water, boosting local production and capturing value from an available resource. 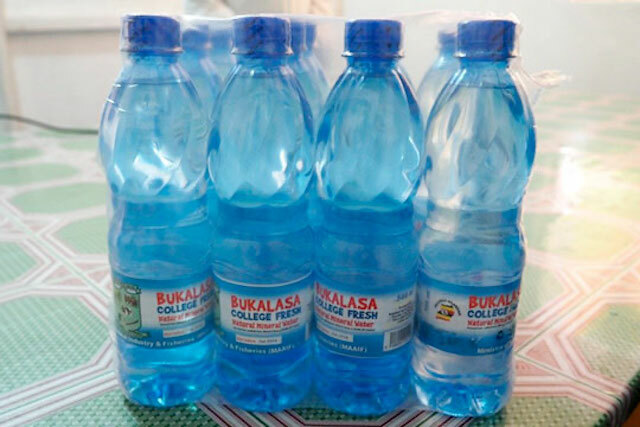 After piloting water filtration systems, Sule and Wilson are now producing 960 bottles of locally filtered and bottled "Bukalasa College Fresh" water. Today, Wilson, Sule, and their students have expanded production to include a higher-capacity filtering machine and are making 40 boxes of water a day. That’s 960 bottles of locally filtered water, sold at 15 cents each to local consumers, with all value captured within the community. Wilson and Sule are even venturing into juice production, starting with mango and oranges. In Uganda, STRYDE is on target to train more than 4,300 young people through local partners, and an additional 7,700 youth through direct delivery by TechnoServe trainers since 2015. Read more about how STRYDE is transforming lives for rural youth.